Share in 3000 years' worth of amazing artefacts from many of the world' richest cultures. Be inspired by ceramics, furniture, fashion, glass, jewellery, metalwork, photographs, sculpture, textiles and paintings. Experience the largest collection of Italian Renaissance sculpture outside Italy; enjoy the national collection of the paintings of John Constable; see the world renowned fashion collection; marvel at the Raphael cartoons and explore the national collection of the art of photography. Inspirational, beautiful and unmatched in scope, the stunning British Galleries 1500 - 1900 tell the story of British design from the Tudor age to the Victorian era. to Mackintosh, all of the top British Designers are represented along with some of Britain's most significant cultural treasures such as Henry VII's writing desk and the famous Great Bed of Ware. The wealth of exhibits is enhanced by computer interactives, objects to handle, video screens and audio programmes, ensuring a stimulating visitor experience to be enjoyed by all ages. In addition to the permanent displays, there is an exciting programme of exhibitions, displays, activities and contemporary events. Join one of our many free guided tours and gallery talks or take a 'Trail' and discover the Museum at your own speed. Free Guided Tours in English - introductory tours last about an hour and depart regularly from the Grand Entrance on Cromwell Road. Demonstrations - Every Saturday from 14.00 - 17.00 and on occasional other days call +44 (0)20 7942 2211 for further details. V&A - A Hundred Highlights - This excellent guide to the Museum in English, French, German and Japanese is available in the V&A shops. 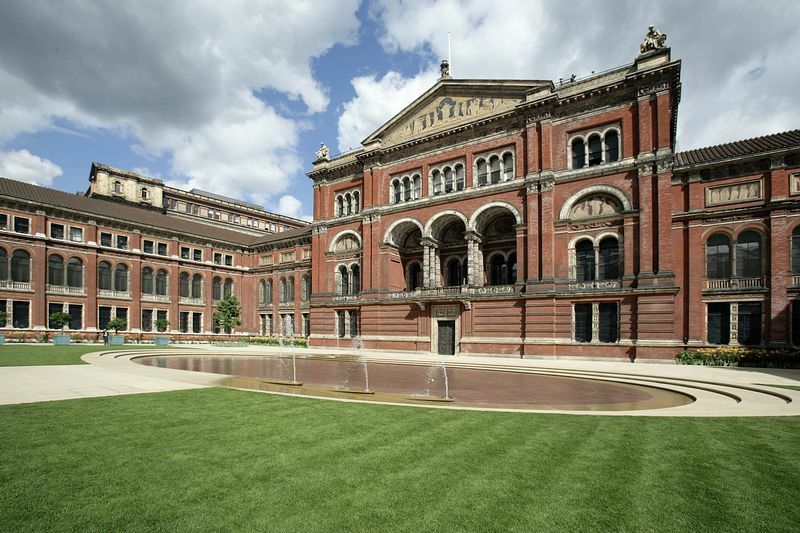 Activities and Events for Families include the award-winning Back-Pack Tours and the V&A Activity Cart. Children can discover the galleries through drawing and making activities. At weekends and during holidays; call 020 7942 2211 for times and dates. Lectures, Study Days and Courses Please call for further details. 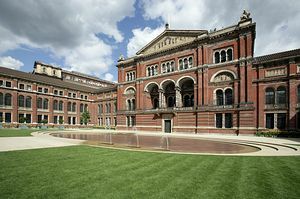 Please visit the Whatson section of the V&A website. Friday evening opening - open every Friday until 22.00. Visit the major exhibitions and galleries, enjoy a drink with friends and take part in a range of talks and events.Friday Late is a series of unique themed events celebrating contemporary culture. Friday Late runs on the last Friday of each month (except December). - Enjoy live performances, talks, film-screenings and late-night exhibition openings or just chill out and listen to music with a drink from the late bar. For details call 020 7942 2211. The Museum has a wide range of services for disabled visitors, call 020 7942 2002 for details. 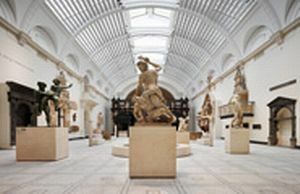 There is full access to the galleries. Buses: C1, 14, 74 and 414 stop outside the Cromwell Road entrance.